WhatsApp has been introducing many updates over the few months for its app. The latest feature to be added to the new updates is the “Quick Quotes” feature. This new feature should be rolling out anytime soon. Previously, WhatsApp had released many updates for its app and for its web version. They include the new options for formatting, improvised encryptions for more security, pop-ups for quick replies, support for GIFs, media storage according to certain contacts, and of course the video calling feature which is yet to be released. 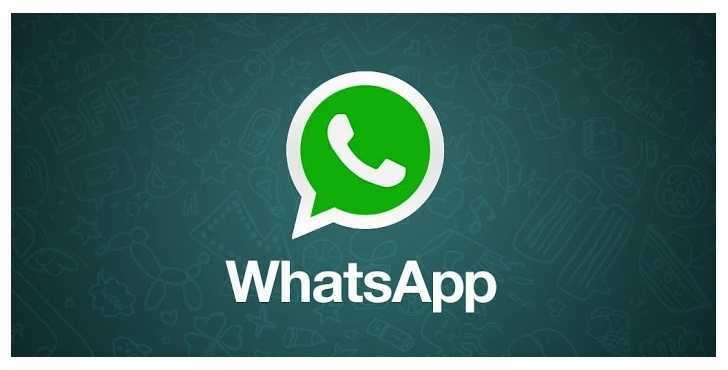 WhatsApp’s desktop version also had a new update that allows sharing of documents over the instant messaging platform. The latest updated WhatsApp 2.16.188 Beta version of the app has introduced a new amazing element called the “Quick Quotes” which allows the users to cite and reply to a specific part of a group conversation. This new feature comes of little use when there is a one-on-one conversation. However, it can be immensely useful when it comes to group conversations, where you will have to hunt through all those vast number of replies. In a group conversation, it becomes important to tag up with every reply so that you can stay updated with the topic. With the introduction of the new Quick Quotes feature, the participants of a group can bring up the texts from the previous group conversation, which have been hidden now in the ocean of current messages. So this feature allows to effectively wipe-out the confusion that has been caused when a participant replies to a context discussed some time back in cases like when the user makes a delayed appearance for the group chat. All you have to do to use this feature is long-press on a certain text bubble that will eventually display a pop-up of options with a star icon, Copy, Trash, Forward and the new Quick Quotes functional option. The icon for the quoting text resembles a lot like the reply button found in other messaging apps. Once you tap on this icon, the quoted text will be added to the reply window. This Quick Quotes feature functions right for the regular texting replies and even for media-inserted ones which have an image or media file embedded in the quote. Once this is sent, the quoted message will show-up in the person’s reply which has the person’s name as a subheading from whom the quoted text was cited. The quote has a designated color which is indicated by the user. Other participants can click on the message that is quoted and then WhatsApp will bring the original reply to the user, by highlighting the text bubble with a blue color which will fade away gradually. According to a few reports this new feature is already available in the older versions of the app without updating it yet. This has led to the conclusion that it might be because the new added function is dawning from a possible switch in the server. And for those who haven’t been able to catch up with the new Quick Quotes option yet, it is advisable to check for updates with regard to any new downloads or it is better to reinstall their WhatsApp app. It should be noted that any manual action will not assure the integration of the Quick Quotes feature on your devices. Google Play Store’s listing for the “What’s New” updates has already announced the introduction this new Quick Quotes feature which indicates that the new update can roll out any time soon.